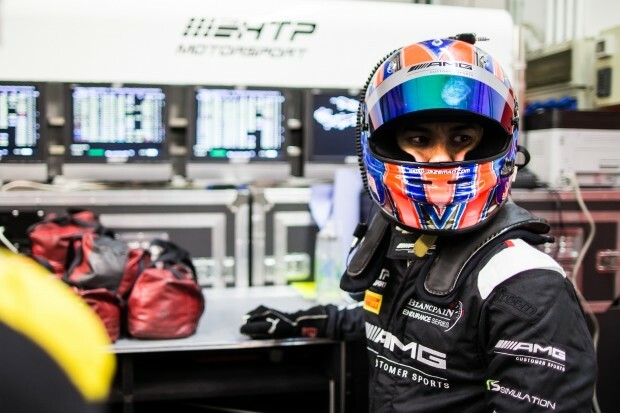 Malaysian racing driver, Jazeman Jaafar, will be back out racing this weekend, taking on the challenge of the Brands Hatch circuit in the UK for the second round of the Blancpain Sprint Series. After celebrating a second place podium finish in the Blancpain Endurance Series two weeks ago, Jazeman is keen to build on this result and secure his first podium in the Sprint Series. Jazeman is competing in his first full season of sportscar racing this year, campaigning the Blancpain GT Series, two European sportscars championship, with the Sprint Series featuring one hour races and the Endurance Series featuring three and six hour events. Jazeman has joined the successful HTP Motorsport team for the season and partners with Austrian driver, Clemens Schmid in one of the team’s Mercedes AMG GT3 cars for the Sprint Series, with the duo finishing nineteenth in the first round at Misano last month, after technical issues during the weekend. Blancpain GT Series track action at Brands Hatch starts on Saturday 7 May at 09.40 local time. The opening day features two one-hour free practice sessions, while qualifying takes place at 17.00. On Sunday May 8th qualifying race starts at 12.05 before the main race gets underway at 16.20. The Blancpain Sprint Series race weekend coverage is available online at www.blancpain-gt-series.com with the qualifying and main race streamed live, along with live timing. A one-hour highlights show can be viewed on Eurosport Asia, see broadcasters listing for times. The Official App for the Blancpain GT Series, both Sprint and Endurance Series, can be downloaded at the Apple Store for iOS phones and Google Play for Android phones.